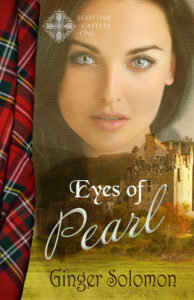 Amberly Kristen Clowe has loved literature since she was a little girl. 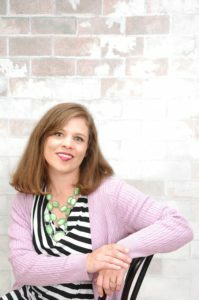 The elementary school teacher now has four published children’s stories, including her latest, Teeny Sweeney and the Mustache Cash. Amberly is kept wonderfully busy by spending time with family, along with tackling her many writing projects and teaching children at her church. You can also sign up for Amberly’s newsletter to receive bookish news, as well as monthly Bible lessons for children. This can be done at her website. So, it wasn’t until years of teaching the Golden Rule did I even know its origins: the Bible. I’ve been thinking on this scripture lately, especially since I used it as one of the scriptures in my new children’s chapter book Teeny Sweeney and the Mustache Cash. 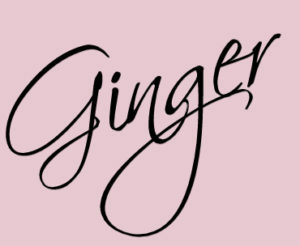 For my main character, Teeny, this meant showing kindness to Amanda Mayweather when Teeny would rather stick her tongue out—and did, unfortunately. It meant feeling horrible when Amanda stood up for Teeny after Teeny was not there for Amanda. Hmmm…this is where I found myself thinking, and even better, praying. Does this mean laying my phone down when my husband is speaking? Yeah, because I expect the same courtesy. And what about better keeping up with loved ones? Absolutely. When my children are older, I certainly want them to keep up with me. And what about the children’s ministries I’m involved in? It’s so important for the kids to put their best foot forward. So I should as well. I should give the lessons the best preparation I can. If I don’t want to watch a car chase every movie night, I shouldn’t make my husband watch a Hallmark every movie night. I know. That one hurts. I’m just sayin’. Isn’t it wild how easy we can think of Matthew 7:12’s implications for children, but when we begin reflecting on our own lives, we tend to complicate those expectations? Whether we are nine, like Teeny Sweeney, or older, like myself, the same rules apply. And honestly, praise God they do. I want to always move forward, to always see room for improvement. How are you treating others? Is there room for improvement? Wiggle room is still room. 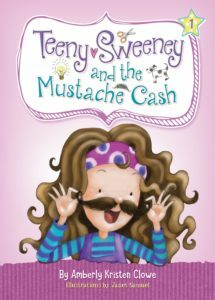 Teeny Sweeney and the Mustache Cash, can be found at Barnes & Noble, Amazon, and Walmart!